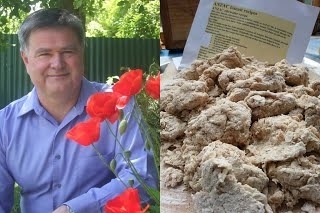 Food in the Gallipoli Trenches - Glyn Harper, historian, author & professor of War Studies at Massey University, talked about the appalling food dished out to soldiers in the Gallipoli trenches. We even got to try some real ANZAC biscuits. Jewish Rituals & Recipes - Martin Chait fabulous story-teller entertained 50 people at Pataka talking about the Jews flight from Egypt and sharing food, made by Jayne Chait, associated with the Passover. Food in Art & Film - Samoan NZ film maker & teacher Sima Urale talked about Food in Art & Film...accompanied by some sensational Samoan delicacies to taste.